Disclaimer: The origin of the American Pit Bull Terrier is not set in stone. Clear cut records of their development before modern history are not available and the exact origin of the breed is debatable. What you will learn here is my take on the origins of the American Pit Bull Terrier based on over 2,000 hours of research of material both on and off the world wide web. Keep in mind this article is a brief overview of the breed’s history. Terrier or bulldog what is the American Pit Bull Terrier? Popular belief is the bulldog of old was crossed with the now extinct English White Terrier to create what we call the American Pit Bull Terrier. However, it is important to remember that no one really knows this for sure. Personally, I believe if there was a cross, the extinct English White Terrier would have to be the most likely candidate. However, that’s if there was a cross at all. Some believe the dogs of today are largely unchanged and are the “pure” bulldog of old. Again, this is highly questionable but it does hold water. 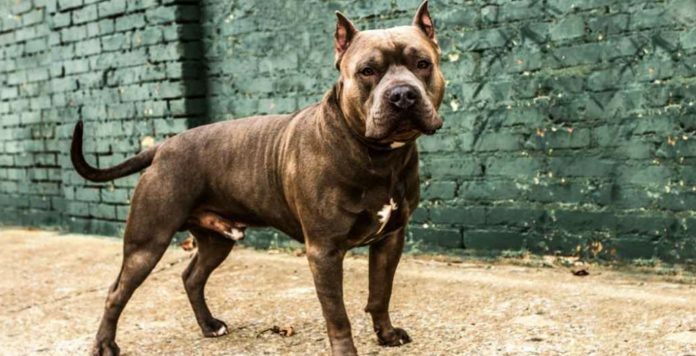 If you read stories and view prints and paintings of old bull baiting dogs you could easily be talking about the modern American Pit Bull Terrier. On the subject of whether or not the American Pit Bull Terrier is a result of a crossing of bulldogs of old and the extinct White Terrier you have to draw your own opinion. Throughout the history of the bulldog dog fighting patiently waited alongside the larger more expensive events like bull baiting and bear baiting. Here’s where historians and people interested in the history of the breed really cross their wires and get confused. After spending literally years trying to figure this out I have come to the following conclusion. Dog fighting has always been a sport in which bulldogs were involved. It was extremely popular during the hay day of bull baiting too. The poor people of England and Ireland started to focus on dog fights because they were cheaper, easier to stage, and easier to hide (it was made illegal along with bull baiting in 1875) from authorities. Since it was such a low-key event authorities often turned their heads to the fact dogfights were being held in their areas. How much did dog fighting influence the development of the American Pit Bull Terrier? I personally think it had very little impact on the breed as a whole. Since these dogs were already baiting bulls, fighting bears, and engaging in dog on dog combat long before they came to America the dogfighting aspect of their history is the most important because it was continued to this day. Modern Pit Bulls have proved they are not only good at fighting, but they excel at just about anything their people put in front of them. 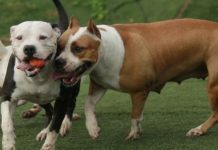 Whether they are running agility, pulling weights in excess of 2,000 lbs, working cattle, earning obedience titles or catching hogs, American Pit Bull Terriers are far more than fighting dogs. Where did they come from? England, Ireland, or someplace else? Another common misconception is the breed is from England. I beg to differ. The breed was well established in Ireland as too. As we get into modern history the name of the American Pit Bull Terrier was changed several times and was finally changed to American Pit Bull Terrier to include the word, “pit” in the name. 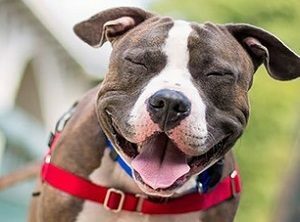 Out of all the breeds that are referred to as the “pitbull” the American Pit Bull Terrier is the only breed with the actual words “Pit Bull” in their name. I won’t even get into the whole registry problem of naming the breed. It’s laughable at best. I will say this, the American Staffordshire Terrier was started off American Pit Bull Terriers and the fact the American Kennel Club does not recognize the APBT as a purebred dog is hilarious. The original standard for the Amstaff was based on a Colby American Pit Bull Terrier. Politics and image resulted in a different strain of American Pit Bull Terrier, we call this strain, The American Staffordshire Terrier. 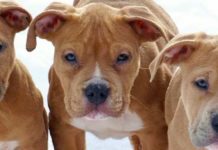 The United Kennel Club started hosting fights and registering Pit Bulls and then the American Dog Breeders Association came along because they felt the UKC was not doing a great job representing the breed. 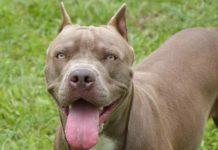 As far as history is concerned the American Pit Bull Terrier is a pure dogfighting dog that is supposed to be used for dogfighting. Despite the ample amount of evidence to prove otherwise. More dogs lived as farm dogs and household pets than fighting dogs. This is also proven by the breeders records of the time. Today the American Pit Bull Terrier is still used for dog fighting, bull baiting and bear baiting. Japan and Pakistan are both countries that host such events. In 2004 bear baiting events were on the rise in Pakistan. Illegal events were being hosted all over the country and authorities were slow to react. 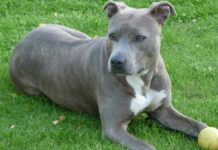 Many of these contests used imported American Pit Bull Terriers on the Bears. In the picture to the left, two Pit Bulls or Pit Bull type dogs are engaging a baited bear in Pakistan. (2004) Despite their misuse, the American Pit Bull Terrier is still a truly versatile canine that continues to astonish people with their ability to adapt and overcome anything that is asked of them. 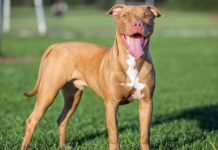 Dog fighting, bear baiting, and other barbaric acts of cruelty while still very much alive and well show only a small portion of the APBT’s true ability. 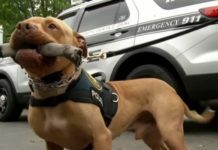 Agility, protection sports, obedience, therapy dogs, search and rescue dogs, drug and bomb detection dogs, are all activities the modern American Pit Bull Terrier excels at. A large part of their history is made up of blood and battle. This is not something to shrink away from as a fancier of the breed. Their history should be embraced, understood, and once we have a full understanding, we can control the future. Purists who think they are “only good for fighting” need to wake up and smell the coffee. A change will happen and fighting and blood sports is the first place we should focus our efforts. History is the recording of the past or the telling of the past. As I mentioned above the history of the Pit Bull is filled with blood and battles against all kinds of animals including their own kind. We can not change the history of the breed. We can, however, change the history our children’s children will be writing about in the future. History shows us where we, as people, made grave mistakes in judgment and where we made great improvements. I for one am grateful of my breeds history. It has helped shape them into the greatest dogs known to man. With that said, our actions from this point on will dictate if they stay the greatest dogs known to man or if our actions will cause their total annihilation from our society.